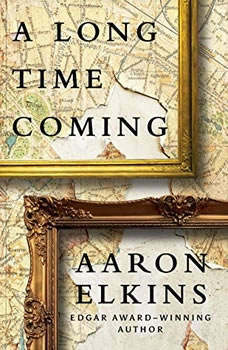 It takes a real artist to solve a crime this big—in a brilliant, engrossing mystery by Edgar Award winner Aaron Elkins…Art curator Val Caruso is not a happy camper. His promotion has just been nixed, his divorce has become final, and he’s dug himself into a nice little rut for his fortieth birthday. The uplift? A trip to Milan to help Holocaust survivor Sol Bezzecca recover a pair of cherished sketches by Renoir. They’d once been given to Sol’s family by the then-unknown artist, looted by the Italian Fascist militia, and now after decades in hiding have turned up for auction. It’s Val’s job to get them back.Unfortunately, his Italian adventure takes a dangerous turn when he becomes trapped in an intricate web that reaches back to World War II—and is still very sticky with art thieves, forgers, and somebody who wants Val out of the picture permanently. When the lost Renoirs are stolen yet again, Val is more determined than ever to hunt them down. The reward for reuniting an old man with his rightful past? Priceless.But doing it is going to be murder.